Apple today provided its public beta testing group with the second beta of iOS 10.3.2, nearly two weeks after seeding the first iOS 10.3.2 beta and a day after releasing the second beta to developers. iOS 10.3.2 comes shortly after the release of iOS 10.3, a major update that brought features like a new Find My AirPods feature and Apple File System, and iOS 10.3.1, a minor security update. 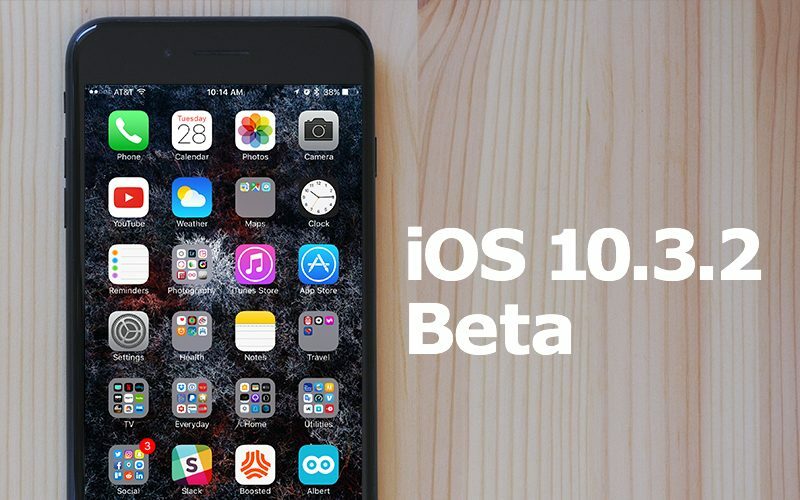 Beta testers who have signed up for Apple’s beta testing program will receive the iOS 10.3.2 beta update over-the-air after installing the proper certificate on their iOS device. Those who want to be a part of Apple’s beta testing program can sign up to participate through the beta testing website, which gives users access to both iOS and macOS Sierra betas. Betas are not stable and include many bugs, so they should be installed on a secondary device. According to Apple’s release notes, the iOS 10.3.2 update fixes SiriKit car commands, which should now be working as expected. Aside from the SiriKit fix, we don’t know what other bug fixes and improvements are included, as nothing notable has been discovered in the betas we’ve received so far. As a minor 10.x.x update, iOS 10.3.2 likely focuses on bug fixes, performance improvements, and security enhancements rather than outward-facing features. Been on the developer beta for over week. The one that came out on Monday, two days ago? Battery life got a little better only after I hard-reset the phone (holding down the power and VOL down buttons) on my 7+..... Seems a few of the apps I use need updating to accommodate the high % of battery drain. Usually a bit too quick to get a good idea of it in less than a day. VPN issues resolved for me - using Privacy Pro. Ever since I installed 10.3.1 final, I've experienced significantly worse battery life on my iPhone 6 Plus - even compared to the earlier betas. I'm hoping 10.3.2 fixes that.